It’s 6:44PM and the power just went out in what seems like all of Koh Lanta. I have 36% battery life on my iPad and I have to write about this. My cousin, Adam, and I left our hotel in Phuket this afternoon at 12:20PM. 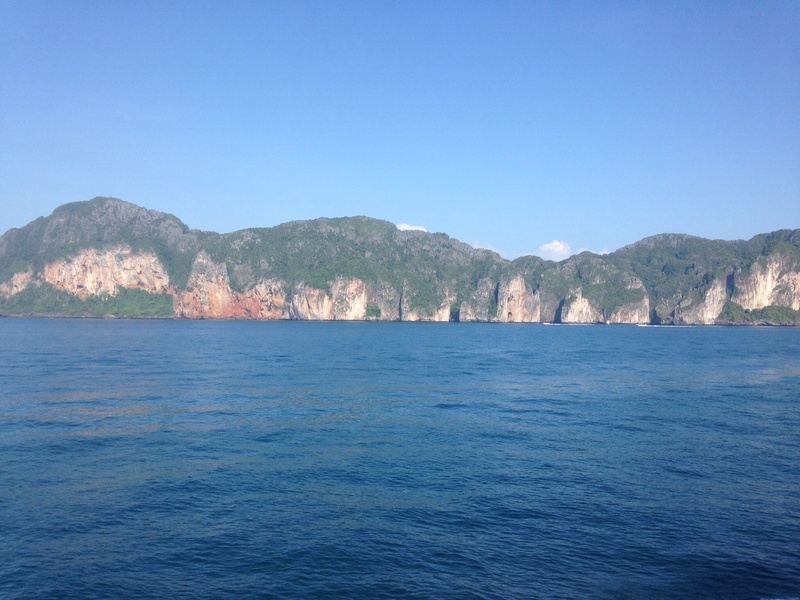 We had to take a van to the dock, a ferry to Phi Phi island and connected to another boat for the ride to Koh Lanta. After a 20 minute songtew ride, we finally arrived at Lanta Pavilion. I should mention that Adam has been sick since we got in the van. About 10 minutes after I got back to the bungalow, the power went out. So were sitting here in the dark, I’m writing this entry, drinking our entire stock of Chang Beer and hearing Adam moan and share his war stories from this afternoon. Probably the only plus side of this was that I got to see Phi Phi island and the sunset on Koh Lanta. And the power is back ON. 7:03PM only took about 30 minutes Lanta…things are looking up!